The Andhra Pradesh High Court on 28 May 2012 quashed the 4.5 per cent sub-quota for minorities carved out of the 27 per cent reservation for OBCs by the Union government. A high court division bench of Chief Justice Madan Lokur and Justice P V Sanjay Kumar observed that the Union government’s move was based on religious lines and not any other consideration. The court was hearing to a Public Interest Litigation (PIL) filed by backward classes leader R Krishnaiah against the sub-quota. 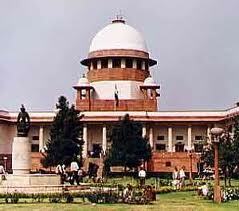 The Union Government will move to the Supreme Court against the high court verdict. The Union Government of India on 1 June 2012 announced to constitute an implementation panel to look into the ways of implementing the Dharmadhikari committee report on Air India and Indian Airlines merger. The implementation panel will also suggest the issues including pay, allowances and career progression structure. The four-member Dharmadhikari committee constituted in January 2012, on integration of nearly 29000 employees of Air India and Indian Airlines.